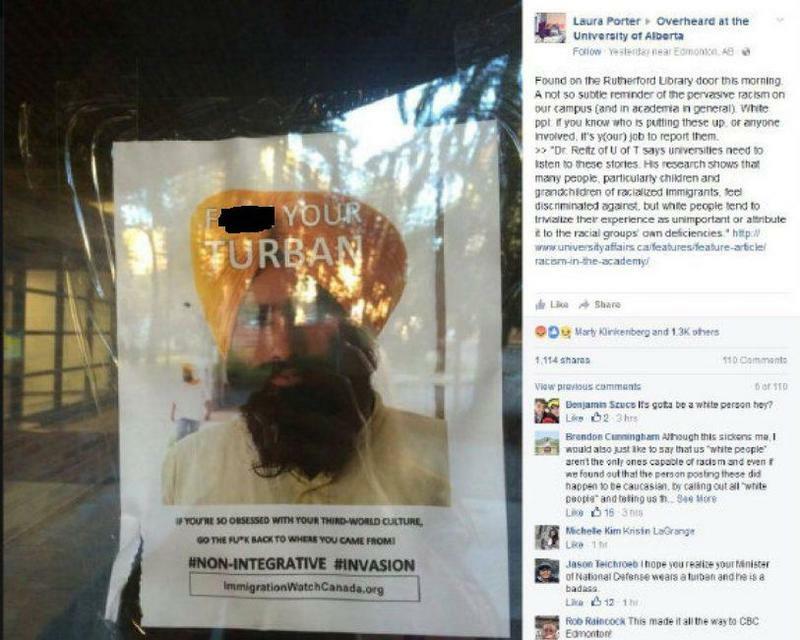 The image to the left, accompanied by the hashtags “Non-integrative” and “Invasion” were featured on a popularized poster found at the University of Alberta. Along with other debasing language, and anti-immigrant rhetoric, the poster is characteristic of a not uncommon belief that non-white Canadians should conform to European-Canadian culture, particularly when it comes to how they dress. Some Canadians took to Twitter to express their response to the poster. “Turban Eh!” was organized on the University of Alberta campus as a response to the anti-Sikh posters placed around campus. It had hopes of educating students and community members about the Sikh faith and the significance of wearing a turban. The Turban Up Event was held in Yonge-Dundas Square in May of 2015. The event was organized by the Sikh Youth Federation as an attempt to expose Toronto-residents and Canadians to the culture around turban wearing. The leaders viewed it as a means of eradicating some of the stereotypes facing turban-wearing Sikhs. 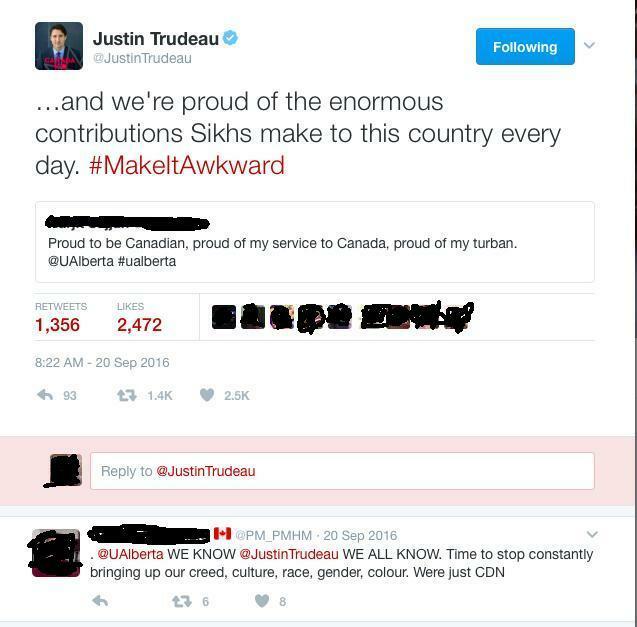 The colourful turbans in this video reflect a powerful initiative and a unique Sikh-Canadian experience. Culture sharing is an important feature of Toronto and other major Canadian cities. Grewal, San. "'Turban Up' Event at Dundas Square Breaks down Cultural Divide." Thestar.com. The Toronto Star, 17 May 2015. Web. 29 Jan. 2017. ← What Do Canadians Wear? The Hijab.